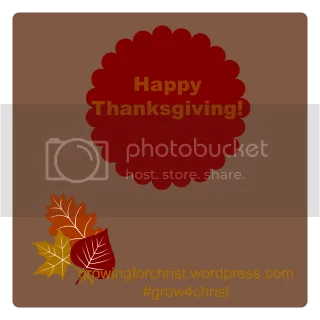 May God give you a wonderful Thanksgiving and may your blessings abound! Enjoy your families! One thing that has become a semi-tradition in our house is the annual cleaning, but it doesn’t take place in the spring. No it takes place usually after Thanksgiving but before Christmas. This year it couldn’t wait, or rather I couldn’t wait. So we started this Sunday when we couldn’t make it to church due to someone not feeling up to par 😦 So I’ve been cleaning almost non-stop (had to stop to write this post and some reviews) for 4 days! 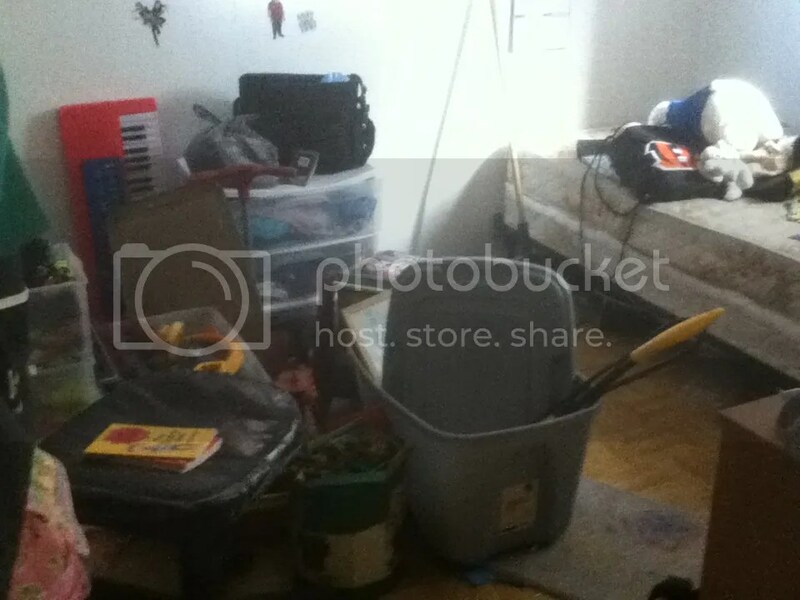 His room after I’d already been cleaning in yesterday. So today, my goal is to have his room finished, with all toys sorted and put away. I’ll need to go through the several storage tubs in his closet and purge some more but I know this can be done today. Then I’ll just need to spend some time dusting each room. One thing that is frustrating to me, that while I clean my two youngers feel the need to play with the toys already sorted and then leave them lay so I have to come behind them and get them to clean them up AND put them in the correct tub – or when I think I’m done with something I find another bag (my son enjoys tote bags and backpacks) with more toys or drawing stuff in them that I have to sort through – this causes a huge amount of frustration to me. I love the finished product though and I feel so much more at peace with our home once I’ve really deep cleaned and there is space for new presents that they will get from their 3 sets of Grandparents, Aunts and Uncles and from us – although we are noticing as they get older their presents are a bit more costly so they don’t get as many as they did in years past. When Calls the Heart is the story of Elizabeth Thatcher, a cultured young school teacher in 1910 who, through the discovery of her aunt’s secret diary, finds the courage to leave her big city home to accept a teaching position in a frontier coal mining town. 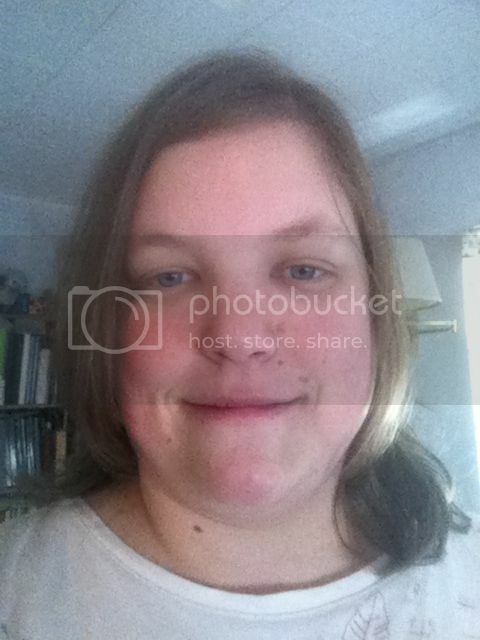 And in the process, she also finds the potential for love with a handsome Royal Canadian Mountie. You can purchase $19.98 and runs for 89 minutes. Michael Landon Jr., son of the late television legend Michael Landon, has been in the film business for over 25 years. With two of the highest rated films in the history of the Hallmark channel, and several top ten releases targeted to the Christian market, Michael has become known for creating heartfelt, inspiring films that connect to the family. He has developed and/or produced, directed, and written screenplays for Fox, CBS, NBC, Disney, Sony, Lifetime, and others. I read the book, When Calls the Heart, years ago so when I had the chance to watch the DVD recently I was excited. 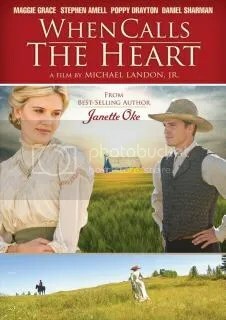 Reading Janette Oke books take me to a time that was simpler in that Faith abounded but also harder in that there was so much more laborious tasks – and I love that about Oke’s books, it isn’t just about the romance, it’s about the Faith of the characters and how they live their lives. That comes across so well in this movie directed by Michael Landon, Jr. – Elizabeth’s strength comes through on the screen as she goes West to a mining town and leaves behind her well to do cultured life to teach. Reading her aunt’s diary sets the course for what she realizes she is able to accomplish in her own life, including love, but ultimately relying on the Lord to get her through. The whole 89 minutes kept me enraptured as I watched the movie with my 9 year old daughter, who also enjoyed it, her actual words were “I really liked that movie”. Given the Dove family approved seal meant that I didn’t have to worry about any scenes that would make my daughter ask questions that she is still too young to know the answers to and I was glad to share with her the enjoyment of watching a Janette Oke come to life. Where will baby Jesus be born? At the market? At a restaurant? At the inn? 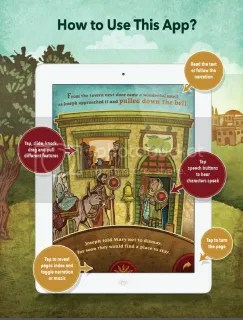 Readers of this book app can follow Joseph and Mary on their search for a place to stay in Bethlehem. Along the way they encounter a variety of colorful local people and animals. This is a fun and engaging way to share the original story of Christmas with the young generation and remind them what Christmas is all about. The iPad version is available for $3.99 on iTunes. And the iPod Touch version is available for $1.99 on iTunes. I love the old pop-up books from my child hood and I love to view old wood cuts so this app blended new technology with the old feel of a time gone by into one fantastic app. The app opens with a ‘cover’ of a beautiful book with a flickering candle illumination Mary, Joseph and Jesus at which point you can chose from the English, French or Spanish version, after you chose your language click on the cover of the book which then allows you several other options such as read to me, read by myself, explore the Scriptures, as well as the app credits, other books, etc. I tried out the read to me first, as I have both non-readers and readers in my house, the voice that did the reading was pleasant and it was easy to follow along, although highlighting the words would have been nice for those beginner readers. I had a lot of fun making Mary, Joseph and the other characters talk, by clicking on the circles – if you don’t do them in order from left to right though their conversation doesn’t make much sense! Even the donkey makes noises if you click on him, and by swiping over Mary and Joseph, windows, doors you can make them travel, open and talk – which was quite exciting for my three children ages 11, 9 and 7 years old. Overall, I think this app is great in introducing children to the Christmas story and my only really issue with it is the fact that Mary more than likely didn’t give birth as soon as they arrived in Bethlehem nor did they stay in an actual barn, as we know it today. I did appreciate that the wise men weren’t not shown in the story and it ended with the shepherds worshiping Christ and the angels praising God in the highest. I highly recommend this app, I only had an issue one time with it staying open and the other times it ran through with no issue and my children and I have really enjoyed it and I think it’s going to continue to bring us good memories for years to come. Christmas is becoming more expensive each year, as my children get older but what if I told you that you could give your children (or your spouse, or yourself) and great gift or gifts that embrace Jesus and His Teachings? You can and all for free! I’ve been a part of Tyndale Rewards for awhile now and it’s proven to be quite fruitful. If you’d like to see some of the items I’ve gotten for free for my family read my post, Earn free Books, Bibles and audios. I’ve been wanting a parallel Bible for some time but the price tag always leaves my husband and I with a case of sticker shock so imagine my delight when I saw that one of the new Bibles being offered is a KJV/NLT Parallel Bible – with illustrations! 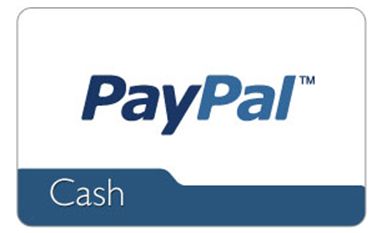 It’s easy to earn and free to join. 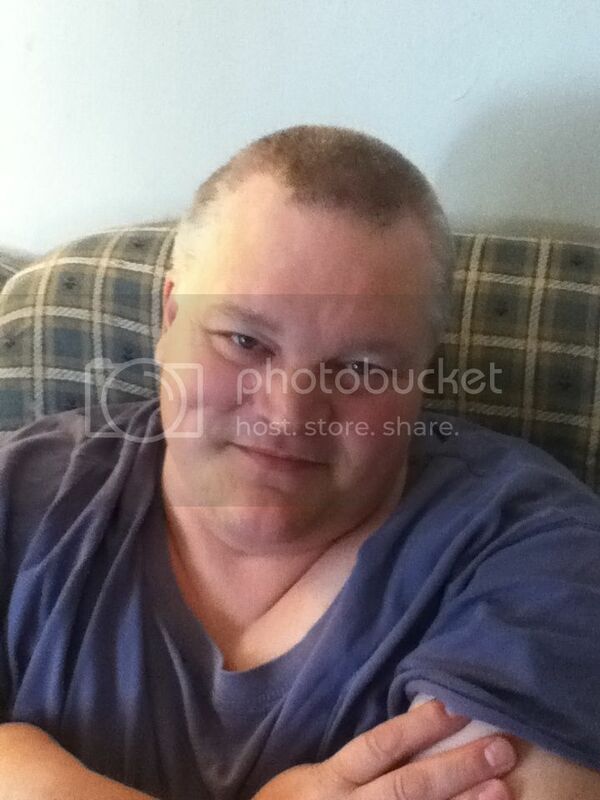 Follow the links above or you can help me out by using my personal link, where you and I will both earn points. So go sign up – even if you don’t have enough points for Christmas gifts they also make great birthday, baptism or anytime gifts! Come home to Hickory Hollow, Pennsylvania–the beloved setting where Beverly Lewis’s celebrated Amish novels began–with new characters and new stories of drama, romance, and the ties that draw people together. I’ve had the pleasure of reading the other three books in this set and I must say that this one has been my favorite thus far – unlike other Amish fiction – this book tells the story of Jenny who is a Seeker and wants to leave her fancy life behind and become an Amishwoman. I used to think that as well but I know that while I do things to try to simplify I couldn’t live as an Amishwoman – I need my air conditioning in the summer months – so the whole aspect of becoming Amish really struck a chord with me. At first I couldn’t relate to Jenny, who comes from affluent means and is surrounded by every luxury, but she chooses to give it up. Once she arrives in Amish country, I began to relate a little more to Jenny as she learns how to keep a home, back, and do womanly arts like embroidery, quilting, sewing and darning. I too had to learn and even am still learning some aspects of what it means to keep house. Of course, the book isn’t just about Jenny’s seeker status but also we get to visit with the Lapp’s again, whose daughter is the one who left the Amish to seek her dying birth mother but then returns to Hickory Hollow to live with her husband under the Bann. 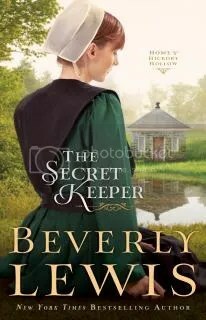 Jenny is soon sworn to secrecy by Rebecca (Katie’s mom and Jenny’s mentor) and is worried about the day she is confronted as she knows it will jeopardize her status of a seeker and one day becoming Amish. Also, since this is a Beverly Lewis book, there is some budding romance going on – although I don’t want to give away too many spoilers so I’ll say you’ll have to read the book to find out more. The book ends on a positive note, but again I don’t want to give away too many spoilers because I feel that once you start it you’ll want to discover all the secrets and the faith that make up this story in the Hickory Hollow series. This book does stand on it’s own, so even if you haven’t read the others: The Fiddler, The Bridesmaid, The Guardian this one will be fine to start with if you’re just returning Home to Hickory Hollow. Essential co-op tools, tips, and options for today’s homeschool families. Thinking about joining or starting a homeschool co-op? Not sure if a co-op is a good fit? Homeschool Co-ops 101 weighs the pros, cons, and creative options available for today’s homeschool family. Section 1 includes essential, digestible info on co-op ingredients such as planning and organization, schedules, teaching, finances, and addressing conflict and burnout. Section 3 contains five hands-on unit studies. These ready to use studies include lessons on Leonardo da Vinci, Birds of Prey, Public Speaking, Tall Tales, and Creative Writing, and are suitable for co-op or home use. This section also includes unit study guidelines that are easily customized to suit any topic. Section 4 offers suggested books, curriculum, and other resources. Karen Lange has gathered insight from years of co-oping and now shares her own and others’ experiences in this valuable and encouraging handbook. Karen Lange, her husband, and three children were active in co-ops during their sixteen-year homeschool journey. Her experience includes serving as a local homeschool support group coordinator and consultant for a state homeschool network in New Jersey. Karen’s children have since graduated, and she is now a freelance writer and online writing instructor for homeschooled teens. 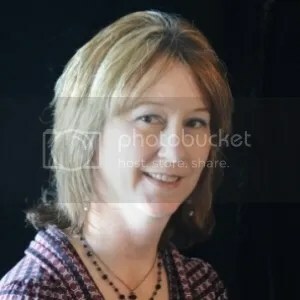 You can connect with Karen at her Blog, on Twitter, and Facebook. I’ve been homeschooling officially since 2008, of course it began long before then, when my husband and I decided upon finding out I was pregnant with our 2nd baby (we had lost our 1st a few months prior to a miscarriage) that we would homeschool her. This did not go over well with many people – but we were committed and dedicated to it. 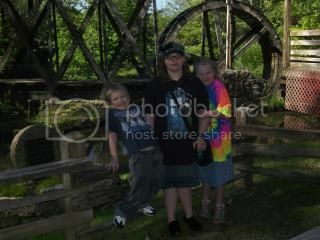 Learning begins at birth and continues well until the day one passes into eternity, so for us our homeschool journey began in 2002, but officially in 2008, but I digress, almost from the start I began researching which groups we could join when it came time to do so. I started first with just a support group and was a member for 3 years then we found a co-op and were members for 4 years, I think. We are no longer a part of any co-op, so you may ask why did I agree to write a review on a book that deals with co-ops? I’ll tell you, I think co-ops have their place in the homeschool world. Karen has written a very concise book from explaining what a co-op is and how to start one, to organizing and running it. It’s a short book, my Kindle Fire tells me it’s 78 pages long but it’s chock full of information and some of it I hope to put to use one day when I have more time to dedicate to maybe running my own co-op. Part of the reason we are no longer in one is because my children and I became disheartened at the running and lack of organization we saw – yes even young children can pick up on this! In reading this book, I believe there can be a way to run and organize a co-op in a way that everyone benefits, the children (all ages), the parents, the place where the co-op meets – versus being a dictatorship. Not only does Karen tell you how to run and organize a co-op but she also gives unit study ideas which you can use to get you started! Such as in Chapter 15 which is titled “Tall Tales” she covers a unit study idea that spans arts and culture and language arts for grade K through 12! She includes websites (of course you’ll want to peruse these yourself as is the case in all areas of Internet safety and sometimes websites die), books, supplies you’ll need, background information, and even suggested study and activities for the mentioned unit study. She also gives lists of sources for things such as lesson planning and curricula one can use in planning their teaching for a co-op. If you’ve ever wondered what a co-op is and are new to homeschooling this is a great resource to start with. If you’re interested in starting your own but don’t know how, this is the book to grab. If you’re just interested in co-ops well I’d still say this is your go-to guide to learning and before leaping. I know right now I’m not a place where I can start and run my own co-op but eventually I’ll come back to this book and consider starting one and even if I don’t start one this book has given me ideas on just doing classes here and there over the school year and do it with organization. The winner will be chosen from those entries and announced December 5, 2013. Good luck! 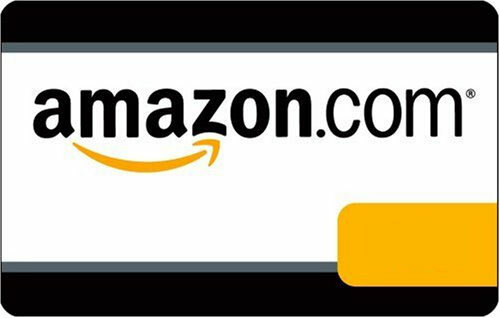 Open only to those who can legally enter, receive and use an Amazon.com Gift Code. Winning entry will be verified prior to prize being awarded. No purchase necessary. You must be 18 or older to enter or have your parent enter for you. The winner will be chosen by Rafflecopter and announced here as well as e-mailed, and will have 48 hours to respond or a new winner will be chosen. This giveaway is in no way associated with Facebook, Twitter, Rafflecopter or any other entity unless otherwise specified. The number of eligible entries received determines the odds of winning. Giveaway was organized by Diane at That’s What I’m Here For… and sponsored by the author, Karen Lange. The author provided me with a free copy of Homeschool Co-ops 101 to review, and I was under no obligation to review it if I so chose. Nor was I under any obligation to write a positive review or sponsor a giveaway in return for the free book.VOID WHERE PROHIBITED BY LAW. -Is it a bunch of pagan symbols “Christianized” for the celebration? -Why is our concept of Christmas so important for those who don’t believe in Jesus? -Most may say Christmas is about the birth of Jesus, but are we truly worshiping Him or just celebrating the earthly gifts we give ourselves? Filled with family get-togethers, office parties, breaks from school, decorating the tree, and more, Christmas is a time of peace and love. So why has so much controversy clouded this sacred holiday? It has become ground zero in an ongoing culture war where Nativity scenes are nixed, Merry Christmas becomes Happy Holidays, and even the word “Christmas” is considered by some as offensive. 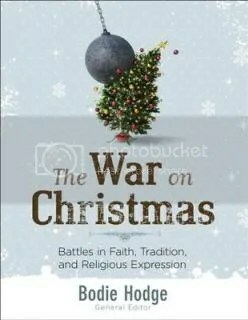 Find the truth about Christmas and the Christian’s response to a culture that seems to be declaring war. You can buy the book on Master Books’ website or at other Christian retailers. Ever since I heard about this book coming out I wanted to get my hands on it and see what it had to say about Christmas, the holidays and other points that seem to not only have divided Christians but also Christians and non-believers over the years. It’s been a subtle shift in recent years to everyone saying Merry Christmas to now it only being allowed to say Happy Holidays or some other non-Christ name, effectively erasing Christmas from Christ and the true reason for celebrating the holiday. Bodie Hodge deals with this sensitive topic with sensivity and compassion even as he writes about Christians who chose not to celebrate the holiday given that some believe it had it’s roots in the pagan culture of the day or those who write Xmas versus Christmas. I reviewed a book a while ago, called King Alfred’s English that went into some detail about the X and the connection to Christ’s name – which I highly recommend if you don’t want to take Bodie’s word for things. Don’t get me wrong, I’m not saying we should stop writing Christmas, sometimes it’s simple laziness that prevents many from writing Christmas out in full – but what I am saying is that those who aren’t Christians who think they are omitting Christ from Christmas by writing X, aren’t. This is a short book at only 144 pages but it’s big on information, some of the information was repeated, but often things that are worth reading are worth reading again – plus since I had finished another book, The Lie, which also dealt with some of the issues Bodie brings up in The War on Christmas, so it may have felt like a repeat. Twenty three chapters span this book and each chapter is short and to the point without being preachy and sticks to Biblical and archaeological facts that support the Biblical account – isn’t it great how science and archaeology supports the history of the Bible? 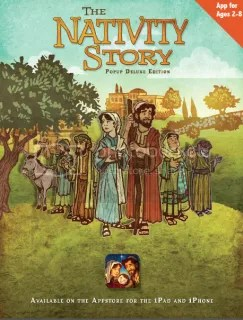 Beautiful illustrations grace the pages of the book including Scripture that brings to life the Christmas story and adds to the overall facts of the book. Whether you’re a Christian who does celebrate Christmas, one who doesn’t, or a non-Believer who is searching this is a great book to read to understand what Christmas is all about and how it became a beloved holiday that Christians around the world celebrate, and yes he even addresses Santa Claus. 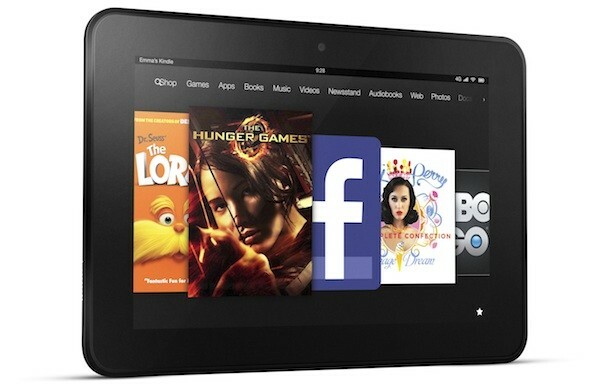 Bloggers & Authors have joined together and each chipped in a little money towards a Kindle Fire HDX 7″. Annie’s life is deliciously full as the Christmas season approaches. She helps her husband, Samuel, attend to the community’s minor medical needs. She occasionally assists Belinda, the local midwife, and most days, she finds herself delivering the buggy to her brother Adam. Annie’s sister-in-law Leah is due to deliver their first child before Christmas morning, and Annie is determined to finish a crib quilt before the boppli arrives. With six weeks to go, she should have no problem . . . but God may have a different plan. Leah is rushed to the English hospital when the infant arrives early, and Annie discovers the Christmas quilt may hold a far greater significance than she ever imagined. You can purchase the book on Quilts of Love or on Amazon. Vannetta Chapman has published over one hundred articles in Christian family magazines, receiving over two dozen awards from Romance Writers of America chapter groups. She discovered her love for the Amish while researching her grandfather’s birthplace in Albion, Pennsylvania. Chapman lives in the Texas hill country with her husband. Wow! I’ve read Vannetta Chapman’s books before so I knew what I was getting into when I started this but I didn’t realize that I’d have to wake up in the middle of the night just so I could read it! Some of the characters were vaguely familiar and I do believe I had met them before in another of her books so I felt like I was catching up with old friends. No sooner had I started the book than I knew I’d be swept up into the story – and I was, this was a touching story of two newlyweds who are also expecting their babies, when something unexpected happens and tests the bounds but also heals through the trial. Since Christmas is quickly coming upon us I so enjoy a good Christmas novella even one that gets me crying, which this one did – as the stories are told and quilting is done (I love Sunbonnet Sue!) bonds are formed and babies are given a chance to ‘cook’ a little longer and they even realize that even non-Amish people can have a deep faith. Now, since this is an Amish story the ending is happy and life starts to get back to normal, as normal as it can be with new boppli’s to care for – but this is definitely a great book to cuddle up with while you drink a hot coffee, tea or cocoa during this holiday season. If you’d like to see what other bloggers thought visit the Litfuse Landing Page. 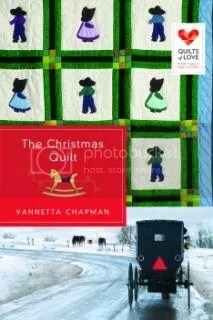 In honor of their new Quilts of Love releases, The Christmas Quilt and Aloha Rose, authors Vannetta Chapman and Lisa Carter are gearing up to ring in the Christmas season with a Kindle Fire HDX giveaway and a “Christmas Bee” Facebook Party on December 10th with fellow Quilts of Love author Lynette Sowell! Enter today by clicking one of the icons below. But hurry, the giveaway ends on November 30th. Winner will be announced at the “Christmas Bee” Facebook Party on December 10th. Connect with the authors from the Quilts of Love series, Vannetta Chapman, Lisa Carter, and Lynette Sowell, for an evening of book chat, quilt trivia, Christmas traditions and gifts, PLUS get an exclusive look at January’s Quilts of Love book! Don’t miss a moment of the fun; RSVP today by clicking JOIN at the event page. Spread the word—tell your friends about the giveaway and party via FACEBOOK or TWITTER. Hope to see you on December 10th!